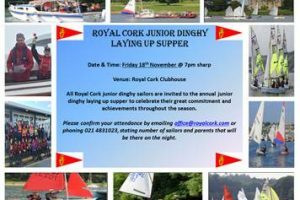 All Royal Cork junior dinghy sailors are invited to the annual junior dinghy laying up supper to celebrate their great commitment and achievements throughout the season. that will be there on the night. 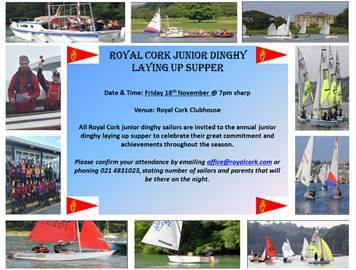 Food will be served and we look forward to seeing all our junior sailors in attendance.